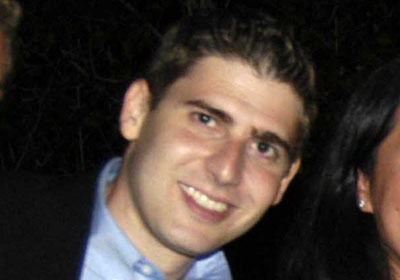 Where in the World Is Eduardo Saverin? In Singapore Funding Facebook Games. I haven’t run into him, but have confirmed from at least ten local programmers and angel investors that Eduardo Saverin– the Brazilian-born estranged Facebook co-founder who helped Ben Mezrich write a devastating revenge book of his ouster before taking a settlement and disappearing from the face of the US tech scene– has been hiding out in Singapore for the better part of the last year-and-a-half. I’m told he lives in the penthouse of the tallest building of the city, and is a regular at Singapore’s club hot spots, especially a place called The Butter Factory. Rolling with the city’s socialites aside, locals say that Saverin is pretty low-key. No one I spoke with had ever heard him refer to himself as the “co-founder” of Facebook. It either goes unsaid or, on one occasion, he told someone who’d never heard of him he was merely a “programmer of Facebook games.” I don’t know how much coding he’s doing, but he’s reportedly using that Facebook settlement money to fund a variety of Facebook game developers from his perch in Singapore– a perch that happens to be just next door to Facebook’s second largest market, Indonesia. He may be hiding out from the limelight and attention, but he’s certainly not trying to get away from Facebook itself. Given TechCrunch’s experience with Singaporean businessmen, I could make a catty comment about that being a low bar. But I’ve met a lot of honorable people this week in Singapore, and it seems like Saverin is keeping his head down, trying to build something on his own and avoid the film limelight his tell all account helped create. I give him credit for that. It’ll exciting to see what games he winds up funding for the platform that seems to have caused him a lot of pain and made him a billionaire household name. With any luck, his games will do well enough that Aaron Sorkin can fictionalize a sequel.